Pedro Martínez de Hebert. El retrato iluminado. Museo Cerralbo. Entre los artistas distinguidos que más se señalan entre nosotros... no debemos olvidar al Sr. Dr. Hebert, que es no solo un buen fotógrafo, sino un escelente pintor, rivalizando sus obras con las mejores que hemos visto. Pero ya en la segunda mitad del siglo XIX los caminos de fotografía y pintura, siempre próximos se van a ir separando....pero nunca del todo. Varios y destacados pintores son también reconocidos como grandes fotógrafos. Man Ray Exploring photographs Getty Tears. Man Ray Fotografía y Pintura. Moma. American photographer and painter. He was brought up in New York, and he adopted the pseudonym Man Ray as early as 1909. He was one of the leading spirits of Dada and Surrealism and the only American artist to play a prominent role in the launching of those two influential movements. Throughout the 1910s he was involved with avant-garde activities that prefigured the Dada movement. After attending drawing classes supervised by Robert Henri and George Bellows at the Francisco Ferrer Social Center, or Modern School, he lived for a time in the art colony of Ridgefield, NJ, where he designed, illustrated and produced several small press pamphlets, such as the Ridgefield Gazook, published in 1915, and A Book of Diverse Writings. Youtube. Ruscha habla sobre su obra. Y de los pintores de fama mundial ( recordemos que es uno de los artistas vivos más cotizados) es Gerhard Richter. A catalogue raisonné of the overpainted photographs of Gerhard Richter is scheduled to be published in 2015. Destacar, por su curiosidad, las citas que el propio Richter cuelga en su web. Algunas realmente buenas. En España de mediados del siglo se puede citar a Novella que tiene un cuadro en el Museo de Prado y que tuvo el estudio de fotografía Photo Art Novella. Utiliza frecuentemente las fotos, sobre todo fotos antiguas, como parte integrante de su obra. Juan Usle Talento RTVE. Habla de su obra. Dionisio González llega ya al extremo de "pintar con la cámara"
Harry Ransom CenterThe First Photograph, or more Specifically, the earliest surviving photograph Known made in a camera, was taken by Joseph Nicephore Niepce in 1826 or 1827. The image depicts the view from an upstairs window at Niépce's estate, Le Gras, in the Burgundy region of France. Learn more about the First Photograph through the links below. 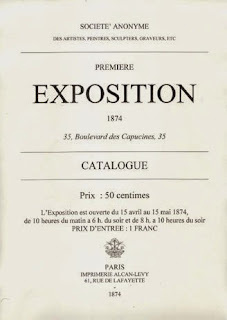 In 1874 the study Nadar 35 Boulevard des Capucines be held the first exhibition of the ImpressionistsBut in the second half of the nineteenth century the paths of photography and painting, always coming are going to be separated .... but never entirely. Several prominent painters and are also recognized as great photographers. Man Ray photographs Exploring Getty Tears.Man Ray Photography and Painting. Moma.American photographer and painter. I was Brought up in New York, and I ADOPTED the pseudonym Man Ray as early as 1909. He was one of the leading spirits of Dada and Surrealism and the only American artist to play a prominent role in the launching of Those two influential movements. THROUGHOUT the 1910s I was Involved With That avant-garde activities prefigured the Dada movement. After attending drawing classes supervised by Robert Henri and George Bellows at the Francisco Ferrer Social Center, or Modern School, I lived for a time in the art colony of Ridgefield, NJ, Where have designed, illustrated and produced several small press pamphlets, Such as the Ridgefield Gazook, published in 1915, and A Book of Diverse Writings. Taking as its starting point the analysis of the photographic work of artist David Hockney, we have tried to find answers to a series of questions focusing on the possibilities of representation of space that allows the photographic medium. The photographic work of David Hockney developed in the eighties of the twentieth century marked a break with the canonical photographic space, questioning the traditional relations between represented space and photography. Your joiners archiconocidos or photographic composites proposed an approach to photographic space optical remote mode-which monopolized representation perspective, with few exceptions, the spatial representation in this medium. Thus the work of Hockney representative proposed new horizons within the photographic area of ​​great impact on later generations. And world famous painters (remember that is one of the most quoted living artists) is Gerhard Richter. A catalog raisonné of the overpainted photographs of Gerhard Richter is scheduled to be published in 2015. 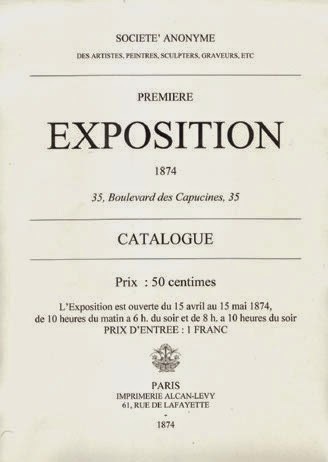 Distinguished by their curiosity, events that Richter himself hanging on its website. Some really good. In mid-century Spain can quote Novella has a table Prado Museum and took the photo studio Photo Art Novella. Moreover Prado Museum wide data to the photographer and painter. It's funny, I know few photographers of this period stand out in both fields, photo and paint, as Novella has a work in the Prado Museum "La Primavera" is on deposit in the Captaincy General of Zaragoza, and had the right to sign his works as "Photographer of the Royal Family"
Often uses pictures, especially old photos, as an integral part of his work. Juan Usle Talent RTVE. Talks about his work. Dionisio González is now coming to the end of "painting with a camera"